Kick off the New Year with a resolution to eat better in 2015 by dining at various restaurants in LA that are serving menus on the “Resolve to Eat Better” theme. 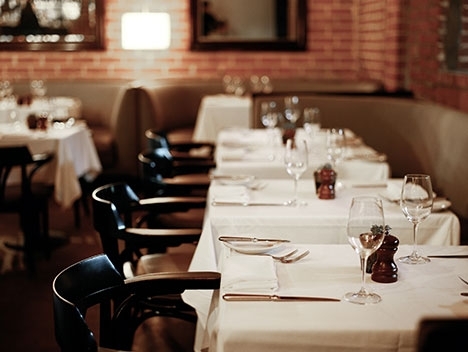 dineLA begins on January 19 – February 1, 2015 with over 300 new and returning restaurants offering fixed price lunch and dinner menus showcasing their best dishes. This year, dineL.A. restaurant week is offering an exclusive dish only available dineL.A. and a menu that is 15% off the existing menu price. Diners will enjoy a lavish lunch menu for $15, $20, or $25 or plan a night out on the town with dinner options priced at $30, $40, or $50 per person. Follow dineL.A on Facebook, Twitter, and Instagram for all updates and tag dineL.A. in social media posts during restaurant week to be entered to win dineL.A. for a year with fifty-two $50 gift cards, a total worth $2600, from a selection of participating restaurants. 1. a.o.c. 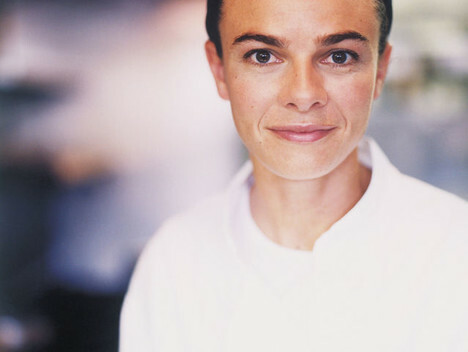 – Acclaimed Chef Suzanne Goin serves up a two-course California-French style lunch for $25. Pair the lunch with Caroline Styne’s wine selection of organic, biodynamic and sustainable vintages. The menu features a choice of a cheese and cops plate, Spanish fried chicken or a small chopped salad with apple, bacon, walnuts and roquefort. The entree selection includes a Farmer’s lunch with winter vegetables, burrata and grilled toast or a roast turkey focaccia sandwich with a salad or fries. There is also a Torchio pasta dish. a.o.c. is located at 8700 W. 3rd St., Los Angeles, (310) 859-9859. 2. 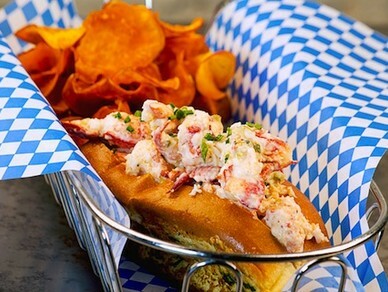 Blue Plate Oysterette is serving a two-course dineLA lunch for $25 that includes a choice of four appetizers: Chef’s Crudo plate, four oysters on the half-shell, Butter lettuce salad, or butternut squash soup with crabmeat. Next, select a crab or lobster roll, Branzino plate or Ahi or fish tacos. 8048 W. 3rd St. Los Angeles, (323) 656-5474. 3. 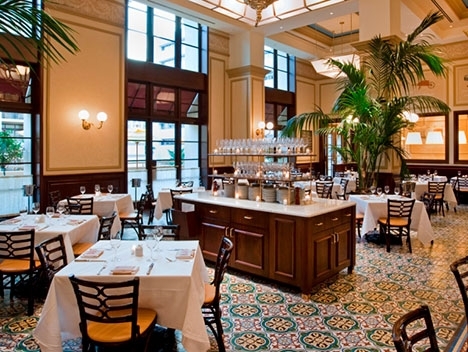 Bouchon Bistro has a $25 three-course dineLA lunch that includes a soup of the day or two different salads. The salmon tartare is offered for an additional $5. Entrees include a grilled Croque Madame; Maine Bouchot mussels in white wine with saffron and frites; crispy duck leg confit with Brussel Sprouts (+$5) or house made ricotta gnudi with squash puree. For dessert you have a choice of a caramel custard; brownies with Tahitian vanilla bean ice cream; Meyer lemon bar or Chef’s selection of artisan cheese with seasonal garnishes and Bouchon Bakery bread. 235 N. Canon Drive, Beverly Hills. (310)271-9910. 4. Connie and Ted’s is offering a three-course lunch that consists of Jo’s Wicked Good Chowda’ Sampler with three different chowders: New England, Manhattan and Rhode Island clear. Also to start is a Little Gem salad or 1/2 a dozen of Chef’s selected half-shell oysters. 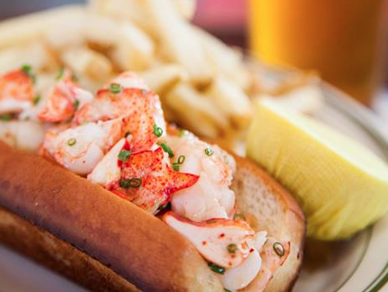 The second course offers a batter dipped cod sandwich; clam strip roll; fried oyster sandwich or Hook burger. All are served with a side of fries or cole slaw. Finish with one scoop of house made ice cream or sorbet or a chocolate chip cookie for $25 per person. 1871 Santa Monica Blvd. West Hollywood (323)848-CRAB. 5. Fig & Olive Melrose Place offers diners either a bowl of Provencal carrot & thyme soup; lobster bisque; truffle mushroom croquette zucchini carpaccio or salmon crudo. The entree selection offer five dishes that includes truffle risotto; grilled thyme chicken paillard; salmon tartare; paella del Mar; or Rosemary lamb for an additional $4. 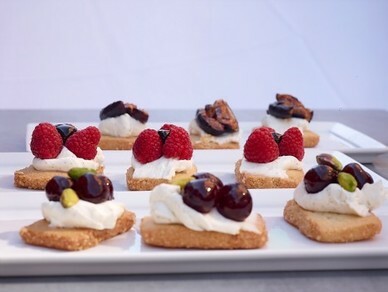 Dessert offerings include a crostini made with Amarena cherry, mascarpone and pistachio shortbread or chocolate pot de creme for $25 per person. 8490 Melrose Pl. Los Angeles. (310) 360-9100. 6. 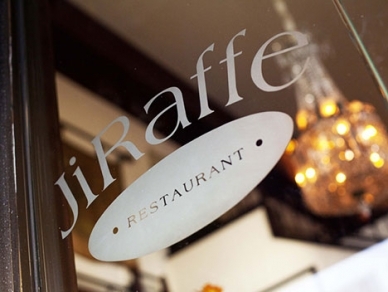 JiRaffe Restaurant begins their dineLA Winter menu on January 23 with a $25 lunch menu that consists of three-courses from 11:45 a.m. to 1:45 p.m. Start with your choice of grilled Pacific line-caught swordfish or wild mushroom salad. Another appetizer is the house made spinach ricotta and Reggiano Parmesan Ravioli with Rancho San Julian beef Mangalitsa pork Bolognese. Entrees include black linguine with fresh shellfish; herb chicken escalope or Angus filet of beef with spiced apple potato gratin. Dessert is a freshly baked chocolate chip cookie sandwich with Tahitian vanilla bean ice cream. 502 Santa Monica Blvd. Santa Monica. (310) 917-6671. 7. La Grande Orange Cafe is serving a dineLA lunch for $15 per person that includes a soup of the day or shredded kale and quinoa salad or deviled eggs. There are three entrees on the menu to chose from. One can order the grilled salmon tacos with a Mole sauce; Sandy’s Green Chili burger with melted Tillamook Cheddar cheese or a wood-fired Rotisserie chicken with fresh vegetables. Hopefully there will be a fresh made salted chocolate chip cookie for you in the cookie jar on your way out. 260 S. Raymond Ave. Pasadena. (626) 356-4444. 8. Lucques is another Suzanne Goin foodie favorite with its warm, comfortable Cal-Med dining room serving a two-course $25 lunch with a supplemental $8 to $10 dessert menu. Start with a Beluga lentil and roast beet soup or arugula salad with Asian pear, winter grapes and hazelnuts. The second course is either a chopped chicken salad with kale or fregola pasta with vegetables and chestnuts. Dessert is a fruit and nut olive cake or bittersweet chocolate torta with Sherry ice cream. They are also serving seasonal sorbets with butter cookies. 8474 Melrose Ave. West Hollywood. (323) 655-6277. 9. Mr. Chow Beverly Hills is serving a dineLA lunch Monday through Friday only. Start with squab with lettuce; minced beef pancakes or chicken satay. The second course includes chicken Joanna; green prawns or crispy beef. Entrees are served with sautéed rice or seasonal vegetables. Dessert is a choice of mixed sorbet or ice cream for $25 per person with a two guest minimum. 344 N. Camden Drive, Beverly Hills. (310)278-9911. 10. The Gadarene Swine Chef Phillip Frankland Lee’s second restaurant (first is Scratch Bar) is a casual vegetarian experience with innovative and playful cuisine. The $25 lunch menu offers two choices that include hummus; seaweed snacks; roasted carrots; strawberries & champagne or blackened cauliflower. Next select one dish that includes vegetables in a box; hand rolled pasta or roasted mushrooms with burnt sweet potato. Chef Lee’s wife, Margarita, makes a lovely pear pie that will cost an additional $9 a slice. The dineLA menu is served from 11 a.m. to 4:30 p.m. and dishes are subject to change without notice based on availability. 11266 Ventura Blvd. Studio City. (818) 508-5500. 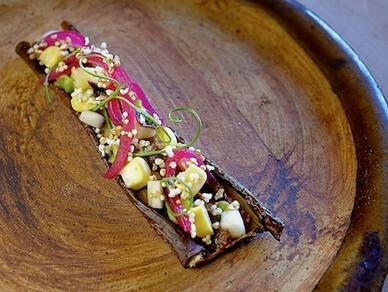 Go to http://www.discoverlosangeles.com/dinela-los-angeles-restaurant-week to learn more.